While pretty much absent from the silver screen, the musical genre has had some of a renaissance in television thanks to the High School Musical TV movies and now Glee. This show doesn’t look a lot like the Fred Astaire and Gene Kelly classics, though - with its pop rock sensibility and academic enviroment, it’s more related to more modern works like Fame, and it mostly uses tried and tested musical hits as a resource to appeal to the audience. The story starts when Will Schuester, a high-school spanish teacher, receives the assignment to direct the school’s Glee club, which is far from its best moments. Only a lot of talent and enthusiasm from the newly-recruited members will save it. 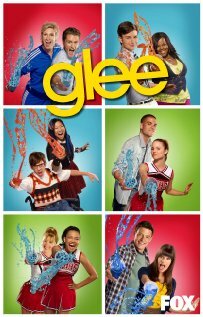 And Glee has enthusiasm. Many of its performers were complete unknowns before joining the show, some of them with no previous acting experience, allowing them a rare spontaneity. Matthew Morrison and Jane Lynch balance the cast as the adult figures. As mentioned, there are lots of popular songs, some of them from a couple of decades ago, like Michael Jakson’s “Man in the mirror” and some as recent as Carly Rae Jansen’s “Call me maybe”, generally in quite competent and likable versions. The producers must certainly have spent in song rights. The young cast does a good vocal and dancing work. The script constantly touches upon typical ‘young people’ themes, such as be yourself, go with your beliefs, etc. There’s also a conscious effort to make the cast as varied as possible in terms of ethnicities and personalities. The whole affair has a decidedly lighthearted spirit, very appreciated by the show’s fans. As in High School Musical, there’s somebody trying to prevent the protagonists’ success (the cheer leader coach played by Jane Lynch), but she hasn’t been very succesful so far. Visually, the show can be commended for its good photography and colorfulness, which assure that, at the very least, viewers will always have something pretty to look at.